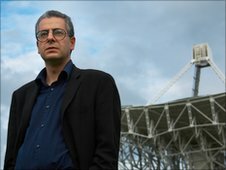 A Cullingworth man is organising a conference focusing on extraterrestrial life and UFO activity. Anthony Beckett is spearheading the fifth annual British Exopolitics Expo, being held at Huddersfield University on September 28. The event will include a lecture by Professor Chandra Wickramasinghe. Mr Beckett said that in the 1970s the professor and a colleague sparked controversy when they concluded from investigations that interstellar dust, laying between the stars, contained life. Extra terrestrial life and UFOs will be the focus as the University of Leeds hosts the the International Exopolitics conference. The two-day event includes speakers from the UK, the United States and Australia. Former Ministry of Defence employee, Nick Pope is speaking at the event.